Win free tickets to Scissor Sisters at Verizon! I have in my grubby paws two tickets to the Scissor Sisters’ Houston show, which is Friday, March 16th, at the Verizon Wireless Theater. They’re upstairs seats–and they’ll go to someone who posts their email address in the comments below. I’ll randomly pick one of the entries and send the tickets out this weekend. free show. sure why not? We have our winner. Thanks for responding. 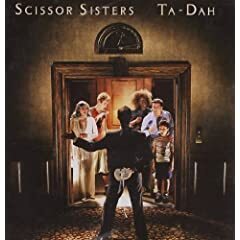 I am a big fan of Scissor Sisters, your tickets won’t go wasted!